Combine the flour, sugar, baking powder, and salt in the bowl of a food processor. Pulse a few times to combine. Add the butter; pulse until the mixture begins to look like cornmeal. Add the egg and extract. Pulse just until the mixture begins to come together. Gather the dough into a ball and flatten into a disk. Cover and refrigerate for 1 hour. On a lightly floured surface, roll the dough into a circle about 10-12 inches in diameter. Don't be concerned if the dough rips or cracks; it repairs very easily. Place the dough in a 9-inch pie pan. ; gently press to cover the bottom and sides. Use your thumb to remove excess dough around the edge of the pie pan. Refrigerate while you prepare the filling. In a large bowl, whisk together the ricotta cheese, sugar, flour, orange zest, vanilla extract and optional Fiori di Sicilia. Add the eggs and whisk the mixture until the eggs are incorporated and the batter is smooth. Stir in the chocolate chips. Pour the filling into the pie crust. Bake for 40 -45 minutes, or until the filling is set (not jiggly) and the crust is golden brown. Remove from the oven and place on a wire rack to cool completely. Serve at room temperature or refrigerate before serving. Dust the top with confectioners' sugar before serving. 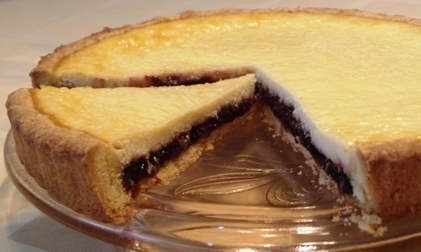 Italian Ricotta Pie is a traditional dessert often served at Easter. There are numerous variations of this recipe. Some are simply made with ricotta and eggs. 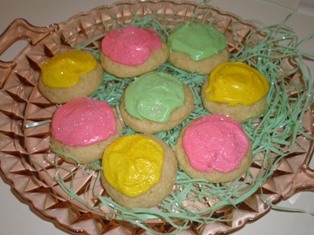 Others have chocolate chips or candied fruit added. We also have a recipe for a ricotta pie with raisins. There are also variations in the type of citrus that is added or even the type of pie crust that is used. This recipe has a sweet and creamy ricotta filling with mini chocolate chips added and just a hint of orange. You can make our Pasta Frolla Crust or to save time use a pre-made pie crust. This multi-purpose silicone baking mat is perfect for doing all your kneading, rolling, and cutting, so your working space remains clean throughout. It sticks to the surface you're working on, so it doesn't move as you knead and roll dough. Cleans easily with warm water and is flexible enough to roll and fold for easy storage. This recipe makes the ricotta cheese in an Instant Pot using the yogurt function. This pleasant combination of citrus and vanilla imparts a delightful aroma to your baked goods, drinks and more.